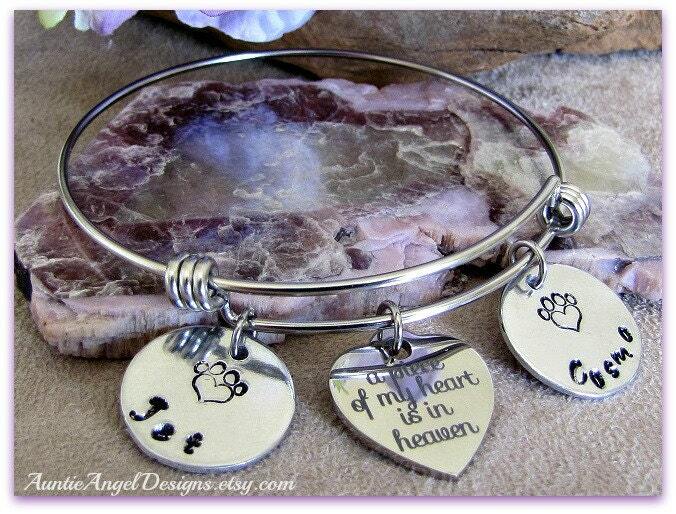 This personalized pet memorial bracelet is a unique way to cherish the memories of your beloved angel in fur. The stainless steel wire bangle bracelet is adjustable and hypoallergenic and won't tarnish. Your custom bangle bracelet comes with up to four 3/4" stainless steel disks hand-stamped by me on one side of the disk. 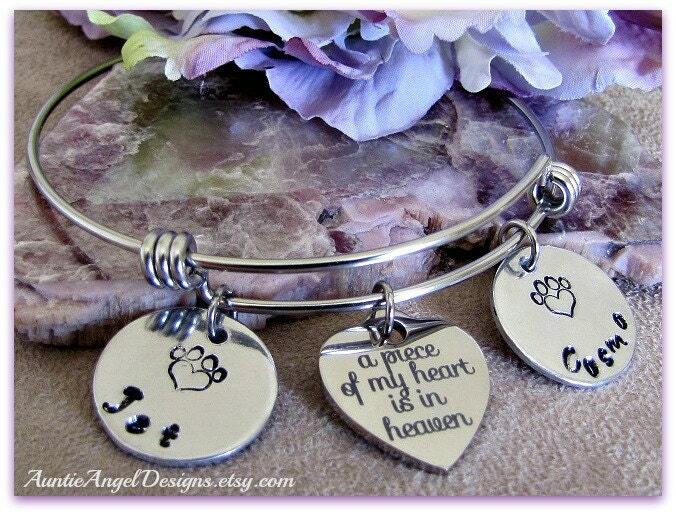 Each disk is stamped with an adorable paw print heart stamp with your pet's name. In the center will be a stainless steel heart charm which reads "a piece of my heart is in heaven." PLEASE NOTE: This bangle does not come apart. It must be able to fit over your hand. 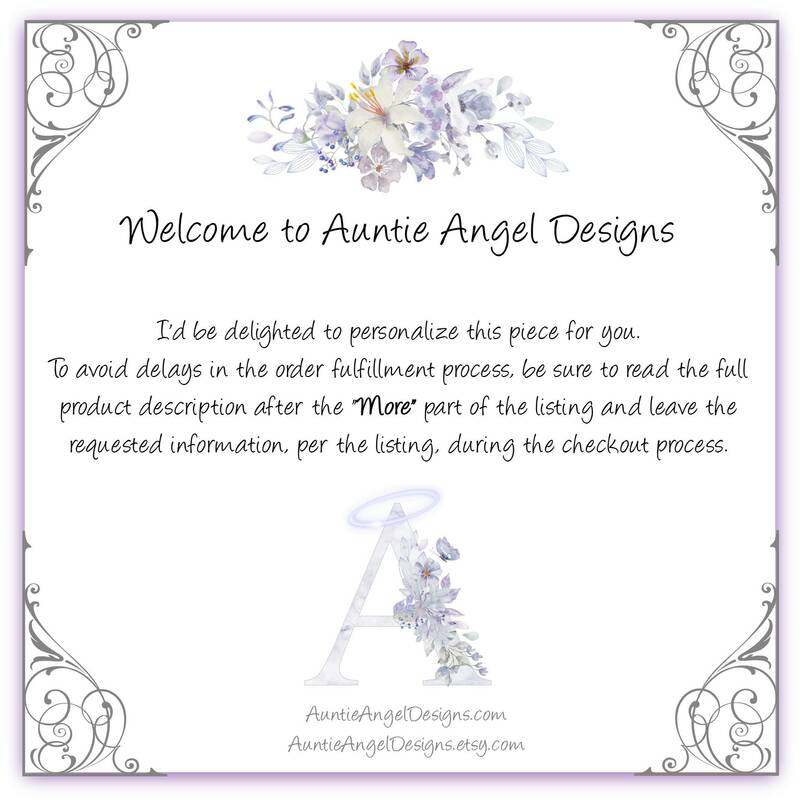 * The name to be stamped on the disk(s), 9 characters maximum, and the order you would like each name to appear on the bangle from left to right. 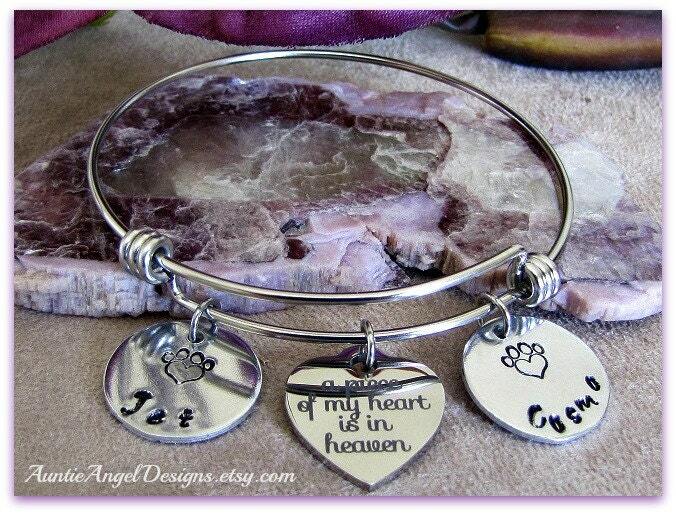 Your custom pet sympathy bangle bracelet comes beautifully gift-boxed with ribbon and is ready for gift giving. This item is actually the bracelet she made for me! I love it and also had her design another one for a friend who just lost her pup. She loves it. 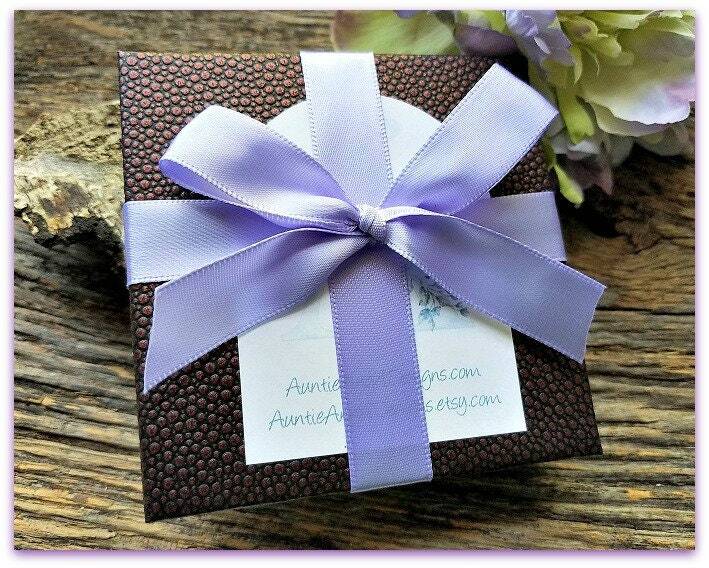 Thank you for creating this and finding a unique way for us to keep our beloved pets close to us with a cute piece of jewelry. What a unique ministry to put a smile on a face and in a heart.